Since June Bug, Nicola’s new dog, gets into way too much trouble, lately the girl’s been worried that her pet will be sent away. Are June Bug’s issues related to whatever is causing recent gloom around town? The playground at school seems to be tilting out of balance, Nicola’s grade-five teacher has become remarkably cranky, no one has put up Christmas lights, Nicola’s older brother is totally focused on an angels-vs.-demons computer game, and the elderly patients at Shady Oaks are living in dismal conditions. Even June Bug’s clever tricks (Nicola hopes that doing good deeds at the home can redeem her pet) can’t do much to improve this last problem. 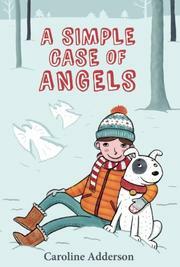 Although Nicola isn’t initially too happy about becoming friends with classmate Lindsay, it’s the latter’s discovery—that angels could be everywhere—that inspires Nicola’s idea that people must do the hard work of creating goodness, thus guiding the pair to some surprising revelations. Characters are gloriously quirky: Lindsay is obsessed with brides (with good reason); Shady Oaks resident Mr. Milton speaks in mysterious metaphors that turn out to be quotes from a more famous Milton; Nicola navigates concepts of hell and goodness, looking for reasonable answers to ponderous questions.